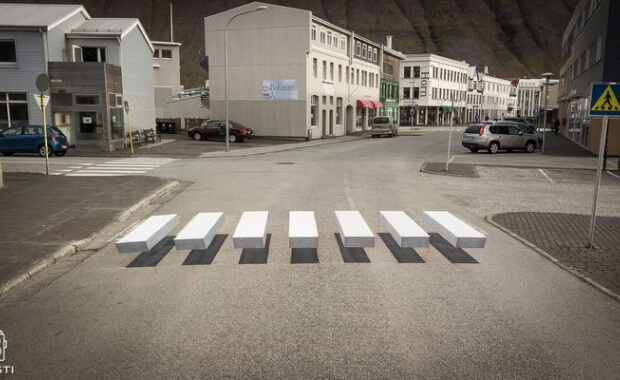 A 3D-painted zebra crossing that creates the illusion of white blocks floating in the road has been trialled in Iceland in a bid to slow drivers down. 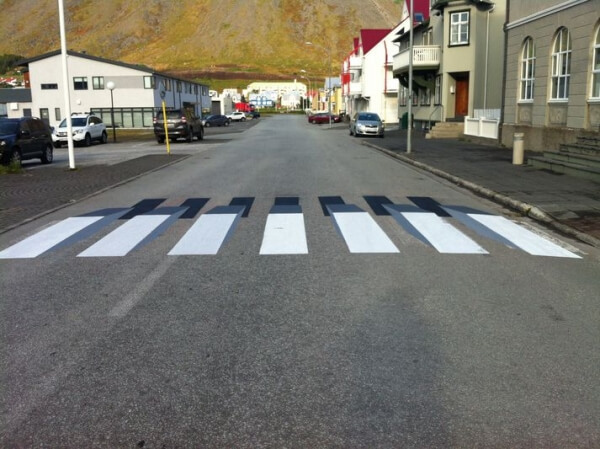 The appropriately named ‘3D Crosswalk’ has been painted on a road in Ísafjörður in north-west Iceland. 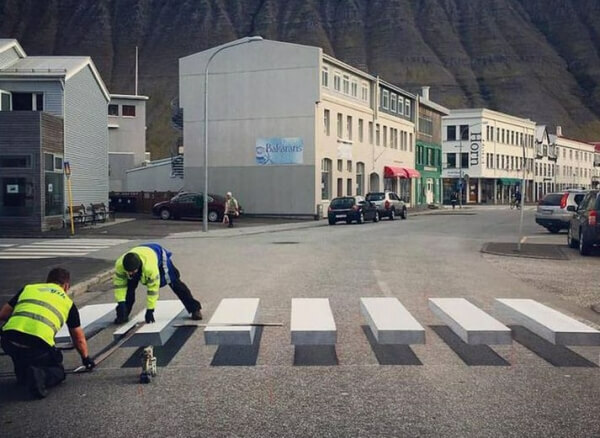 The work was carried out by road painting company Vegamálun Gíh, who was commissioned by the town’s environmental administrator after they had been looking into ways of slowing drivers down. The firm only came up with the idea earlier this month, taking just a few weeks to get the green light from local authorities. 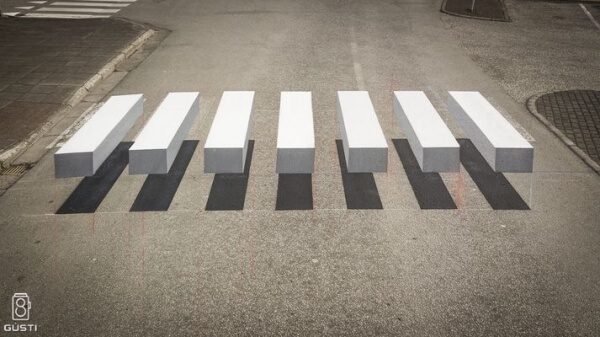 If the crossing proves successful at reducing speeds, more crossings may follow.